A gentle soap which leaves you feeling relaxed and your skin luxuriously soft. The lavender properties of our luxury Handmade Guest Soap will be enhanced when massaged into your body. 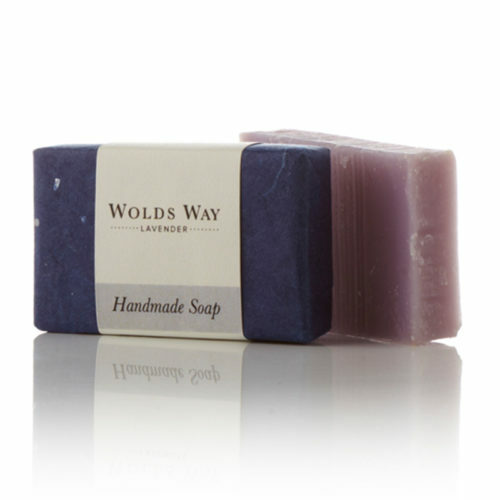 A gentle soap which leaves you feeling relaxed and your skin luxuriously soft. A luxurious treat. 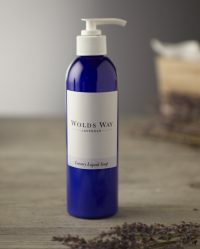 The soap is made by the cold-process soap making method. The basic mixture of vegetable oils and fats, sodium hydroxide, water, natural nutrients and essential oils is stirred together. 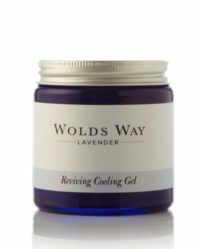 No additional heat is supplied apart from the gentle heat needed to melt the oils at the start of the process and the glycerin is stirred back into the soap as the saponification reaction takes place. This means that our handmade soaps retain all the glycerin, making superior and gentle bars of soap. 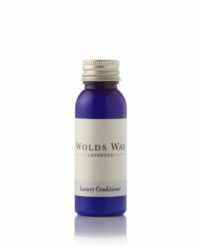 The key ingredient in our Handmade Guest Soap is our 100% Pure Wolds Way Lavender Essential Oil. Pure English. 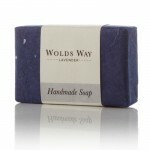 We are passionate about the quality of our products and hope you enjoy our Handmade Guest Soap. Please contact us if you would like any further information. Sodium olivate, Sodium palmate, Sodium cocate. 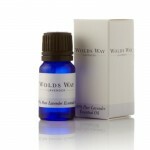 Aqua, Buty-rospermum parkii, Glycerin, Prunus amygdalus dulcis, Sodium castorate, Lavendula angustifolia, Lavandula intermedia,CI 77007, Lavender Oil naturally contains Linalool, Geraniol, Limonene and Coumarin.